What happens when your greatest gift becomes a source of your greatest liability? 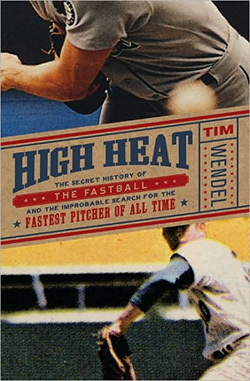 That’s a question that Tim Wendel explores in his new book, High Heat, a lively tale about pitchers past and presence who make a living throwing the fastball. Pitchers who can throw a fastball upwards of 95 miles even topping 100 miles per hour and do it consistently and with control are in high demand. The greatest of them all–Walter Johnson to Sandy Koufax, and Bob Feller to Bob Gibson and Nolan Ryan–are in baseball’s Hall of Fame. approach to dealing with others. they require getting resources; other times it requires teaching. managing and it prevents employees from developing their job skills. Working with others can be taxing and so it is necessary to learn to hang back. soliciting input from your direct reports. Encourage them to generate ideas. he kept a hand in high-level deals that required his input.